Yay, more talk about books! Sometimes I wish I read faster so I could talk about books on the blog all the time. So today I’m going to talk about adult fiction (and by adult fiction, I mean fiction marketed to adults as opposed to children or teenagers). I read a few memoirs and a few really strong nonfiction titles this year as well, but I have so much fiction to talk about, I’m going to stick to that for now. Gone Girl, by Gillian Flynn. Definitely memorable. Fun to compare the movie and the book. Ancillary Justice, by Ann Leckie. Won the Nebula, the Hugo, and the Clarke this year. The Awesome Girl’s Guide to Dating, by Ernessa T. Carter. I haven’t read much chick lit in years because I got kind of bored with it, but this one felt fresh and different, focusing on careers as well as relationships and concerned with actual emotional issues and how they can be changed. Also had many different POV characters, which I liked. The Interestings, by Meg Wolitzer. I’m not quite sure what to say about this book. It begins with a group of teenaged friends at an arts summer camp, and then it traces their history together through middle age, told from the perspective of one of the friends who thinks she’s the least interesting. Sometimes it’s bleak and other times it’s uplifting, and I guess it’s kind of like real life. Even the arcs feel kind of like real life. Mrs. Dalloway, by Virginia Woolf. So this is a classic, and from a narrative perspective, it’s also kind of weird, and features stream of consciousness, and jumps in interesting ways from point of view to point of view. The language choices are stunning. The Good Soldier, by Ford Madox Ford. I feel like most of the people I know wouldn’t like this book because it is bleak and the characters are all pretty awful and unsympathetic, but I thought it was great, which I guess tells you something about me. Dangerous Liaisons, by Pierre Choderlos de Laclos. Okay, these characters are also awful and unsympathetic, but in this case, they are SO MUCH FUN. The movie version with Glenn Close and John Malkovich has been one of my favorite movies for a very long time, and the book, an epistolary narrative from many different perspectives, is just as wicked and fun and thought-provoking, if not more so. The Glass Bead Game, by Hermann Hesse. I bought this book a few years ago and finally got around to reading it this year. And I thought it was incredible. It’s very dense and kind of dry on purpose because its framing story is being a kind of academic text. As such, it also sometimes requires reading between the lines. It is not an easy book, or a fast book, or a plot-driven book. And it is very much a product of its time in that there are no named women characters, I don’t think. It explores several key themes with great depth and insight, and the game itself, along with the culture that has built up around it, fascinates me. The Handmaid’s Tale, by Margaret Atwood. I don’t usually include re-reads on this list, but this is one of my favorite novels of all time, and it had probably been ten years since I’d read it. And now I can appreciate the mastery of the writing even more than before. This book is dark and powerful and freaking brilliant. And reading it again was a kick because I could see ways in which it has influenced me as a writer. S., by J.J. Abrams and Doug Dorst. People asked me if this was good, and I couldn’t really tell them. But if you like experimental and strange metafictional stuff, I recommend this. It’s several stories woven together into one book, using the actual text of the novel, the footnotes, and notes in the margins of the pages, along with various post cards, letters, etc. tucked away between the pages. Definitely unlike any other reading experience I’ve ever had. River of Stars, by Guy Gavriel Kay. I love Guy Gavriel Kay’s work. I’ve only read three of his novels, and each one of them is like a multi-faceted, highly polished jewel. The Last Policeman trilogy by Ben Winters. Told from the POV of a new police detective during the last few months pre-apocalypse, the first of this trilogy is basically a procedural (and a solid one at that). But Ben Winters shifts this structure as the trilogy continues to good effect. This one caught my imagination and ends up being a surprisingly deep exploration of the meaning of life. Highly recommended. Redemption in Indigo, by Karen Lord. I didn’t like this book all that much at first because it was in an unfamiliar style. I forced myself to continue reading, and I’m glad I did, because by the time I got to the end, I was enchanted. We Are All Completely Beside Ourselves, by Karen Joy Fowler. Is this SF/F? In my opinion, no. But it is charming, very well-written, and deals with some deep questions. It also involves dysfunctional family dynamics (among other things), and you know how much I love those! The First Fifteen Lives of Harry August, by Claire North. This reminded me a bit of Kage Baker’s Company books with its conspiracies and shadowy organizations. The premise is different, however; in this one, there are people who live their lifetimes over and over again on a repeated loop. They can retain their memories from one lifetime to the next, though, thus being able to make changes and thus making the highly interesting premise of this book. Boy, Snow, Bird, by Helen Oyeyemi. 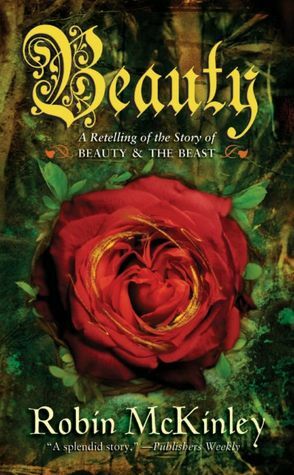 This retelling of the Snow White fairy tale is unexpected and creeps into your mind to stay. I feel like I’m still processing it. It deals with themes of race and gender and passing and appearances, and also with trauma. It’s kind of maybe magical realism, or some kind of liminal fantasy thing. I had trouble fitting the ending with everything that came before, but still well worth the read. On a Red Station, Drifting, by Aliette de Bodard. This is an amazing science fiction novella that was nominated for the Hugo and Nebula awards last year. Novella, for those of you who don’t know, means it’s a bit shorter than a standard novel. This story has it all: an intriguing plot, strong world building, compelling characters, and themes explored in a meaningful way. I really loved it. Mr. Fox, by Helen Oyeyemi. This book is hard to talk about. It is also brilliant. Its structure is unusual, in that it is a series of stories that are being told (kind of) in collaboration between two characters, and there are some characters that recur and there are resonances between the stories, but sometimes more than others. You see, I told you it is hard to talk about. Pretty much as soon as I finished it, I wanted to read it again. There is a lot of darkness in this book, and violence, particularly against women, that is carefully examined. Fairy tales dwell on its pages, sometimes overtly and sometimes only in echoes. Here is a more detailed review. The Drowning Girl: a Memoir, by Caitlin R. Kiernan. I think about this book and I want to swoon, that’s how good it is. Powerful, evocative writing; an unreliable narrator who has schizophrenia and really isn’t sure what is real and what isn’t; liminal fantastical elements shimmering on the page; psychological horror with so sharp a blade you won’t notice you’re bleeding. Oh, this book. I can’t stop thinking about it. Also, if I had a Christmas list, this special edition of this novel would be at the very top; I could never justify purchasing it for myself, but it is so very beautiful. And yeah, again, I could just go on and on and on. My to-read list is immensely long at this point. This strategy seems to be working out for me, since I can’t remember the last time a year of reading has been this inspiring and interesting and wonderful. I’m keeping my fingers crossed for 2015! Last week I spent way too much time filling out the Locus 20th Century Poll. I had to make two lists: my top ten favorite science fiction novels from the 20th century, and my top ten favorite fantasy novels. (There were short fiction categories too, but I’m less well read in those categories. And the 21st Century poll, since it only covered twelve years, was not as time-consuming.) Locus provided a handy reference list of many eligible novels that I poured over. What I found fascinating was the difference for me in creating the science fiction list versus the fantasy list. For the science fiction list, I had no trouble coming up with ten titles. In fact, my main problem was I kept coming up with ever more titles, and then I had to choose which ones to actually include in my final list, and in what order. And all the titles I was coming up with are books that I’ve adored, that have had a huge impact on me, that I could obligingly gush on about for some time. And then I started working on my fantasy list. I eventually added Guy Gavriel Kay’s The Lions of al-Rassan and Robin McKinley’s The Blue Sword, both of which I am deeply enthusiastic about and neither of which was on Locus’s reference list. However, the other novels I listed, while entertaining novels and influential in the field, did not inspire the same gush-worthy feelings. I’ve always thought of myself as an equal lover of both science fiction and fantasy, so this surprised me. Which led me to consider the general pervasiveness of fantasy in my experience of story. I fell in love with science fiction as an adolescent. I still remember exactly where I was when I finished reading Ender’s Game for the first time, and how I felt about it. I was twelve. And from then on, I swallowed science fiction novels from the library’s adult section upstairs in great gulps. But fantasy has been with me from the very beginning. I didn’t call it fantasy back then. In my experience, it was a natural and inevitable part of the landscape of storytelling. It was my air. Even the picture books my mom read to me before I could read to myself involved talking animals and portal quests and magical items. And those titles in children’s literature that I now know are part of the fantasy genre? 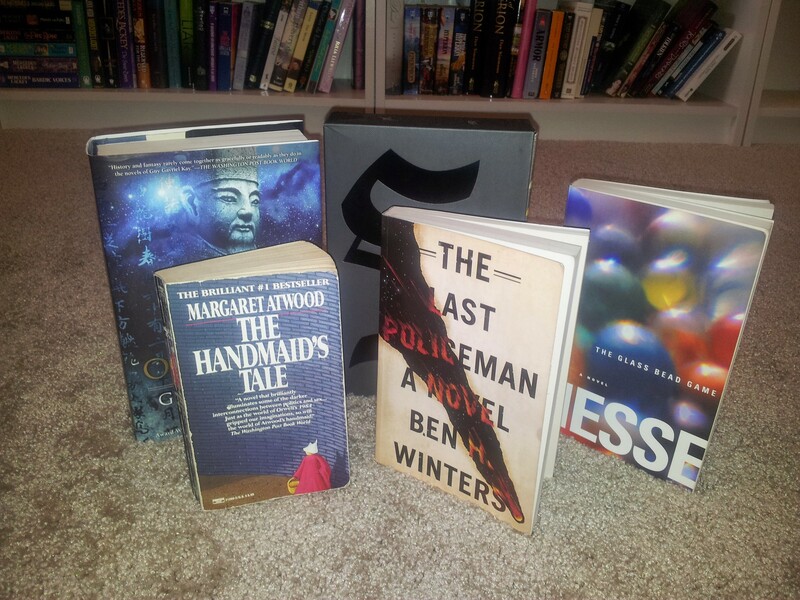 I can gush about them just as long and just as fervently as I can about Dune or The Handmaid’s Tale. I grew up on fairy tales, so very many fairy tales. I loved them with a passion. My other two favorites? King Arthur stories and Robin Hood stories. I devoured so many of the children’s fantasy classics: Peter Pan; The Wonderful Wizard of Oz and all the other Oz books at the library; The Narnia Chronicles; the Roald Dahl books (I particularly adored The Witches); The Phantom Tolbooth; Mary Poppins; The Sword in the Stone; Tales from Shakespeare by Charles and Mary Lamb (I loved The Tempest and Midsummer Night’s Dream); Freaky Friday; The Dark is Rising series; the Black Cauldron series by Lloyd Alexander; Alice’s Adventures in Wonderland; Mrs. Piggle-wiggle’s Magic, The Princess and the Goblin; E. Nesbit’s novels; Diana Wynne Jones’s novels; The Ordinary Princess; The Hobbit. And eventually I was lucky enough to graduate to Tamora Pierce and Robin McKinley. This was one of my two favorite books (along with Ender’s Game) for almost a decade. Then I added many more to my favorites list. This doesn’t mean I can’t appreciate adult fantasy novels, or even love them. But I do think I approach them with eyes and mind very much informed by children’s literature, those titles that were such a deep and early part of my love of reading and of story. How about you? Did you read a lot of fantasy or science fiction as a child? How difficult would it be for you to make those two top ten lists? More publishing news! It’s been a busy summer. This time my contemporary fantasy story “The Dreamtime” appears online at Buzzy Magazine. “The Dreamtime” is one of my older stories. I wrote it in the spring of 2010, and it was the story I submitted to Taos Toolbox for the first week critiques. Yes, I got fifteen critiques on this story during that first week at Taos, and almost everyone agreed on one thing: a crucial scene was missing. Yes, missing. If anyone was looking for a testimonial on the effectiveness of Taos Toolbox as a workshop, I think I can honestly say I would never have sold this story without the revisions I did as a result of attending. I actually ended up adding two major scenes and one very short interlude, as well as deleting (well, combining with another, really) a scene. And the story is much better for all these changes. This story is also an illustration of the important role of persistence in being a writer. I finished the above revisions later that same summer, and as you see, the story is appearing two years later. It was purchased almost a year and a half after I started sending it out to markets. In fact, I was almost ready to give up and put it away for good, but I hated to do that since I still felt I could stand by it as a story. And then along came the new market Buzzy Magazine, paying pro rates and having an editorial focus that made me think “The Dreamtime” might be a good fit. I guess the editors agreed! As for the story seed, I started out by thinking of the dreamtime as a metaphor for those moments when you begin thinking about someone in your past who you would really rather not think about. And yet there they are, waving at you from your own thoughts. But what if these people could do something similar of their own volition? A psychic phone call, if you will? From this idea was born the character of Mariah, still hung up on a crazy ex-love with the power to roam her dreams. In this way, this story is a twisted kind of love story that shows the emotional aftermath of a relationship gone wrong. Some of my Taos classmates had trouble believing that a woman would find a man like O’Malley to be attractive since he is arrogant, dismissive, bullying, expects her to do what he wants. I have to respectfully disagree. Of course relationships like this exist in the real world. And even though these relationships are dysfunctional, that doesn’t mean it isn’t difficult for the parties involved to disentangle themselves. Love doesn’t disappear so easily. The question in my mind isn’t whether such relationships exist but rather whether the individuals involved (in this case, Mariah) can develop the personal strength to move on. Last week I got some exciting news. I’d been on an airplane for several hours, flying home from a very successful vacation. I was slightly brain-dead, and I’m sure my in-flight dinner of Pringles and peanut butter cups hadn’t helped matters. After having survived the little dog frenzy of homecoming, I settled by the fire to check my e-mail, happily procrastinating from unpacking my suitcase. I clicked on one of my e-mails, read the first sentence, and screamed. Literally. I think my husband thought I’d seriously hurt myself, because he came running from the other room. What did that e-mail say? It told me that I sold my first story! Daily Science Fiction wants to publish my story “Forever Sixteen”. Hooray! I was feeling pretty good about myself, in an I’ve-spent-all-day-on-a-plane sort of way. And I felt even better when, the very next day, I found out that I’d received an Honorable Mention in the most recent quarter of the Writers of the Future contest. Do you see that thing I did? I automatically wanted to downplay my success instead of sharing it. I worried about “bragging”, even though I would never think that of another writer posting the same news. Is this because I’m a woman who has been trained to be a team player and never toot my own horn? Is this because I’m a writer with the prerequisite insecurities so often found in my profession? Even after noticing my strange behavior, I still rationalized with a “Maybe I should say something on Twitter but not Facebook.” Because somehow that would make a difference? Hello, irrationality! I’d love to say that this was an isolated case, but the truth is I see it all the time. Just this past weekend I was spending time with two lovely women writer friends of mine. Both of them have blogs. Both of them are active on Twitter and Facebook. But neither of them regularly post notifications of their new blog posts on Twitter or Facebook. This drives me crazy because I forget to read their blogs as a direct result. I talked to one of them about it, and she said, “Oh, I don’t know if people would really be interested.” And that’s the clincher, right? I think most of us have moments of thinking the same sort of thoughts. Why would anyone care about what we have to say? Maybe it’s not a good idea after all to put ourselves out there. Newsflash! People are following you because they’re interested in what you’re doing, and they’re interested in what you have to say. So if you don’t let them know about your newest blog post, you are shooting yourself in the foot. After all, they don’t have to click on the link you provide if they don’t feel like it. You’re not forcing them into anything. You’re just letting them know what’s available. This ties directly into Sheryl Sandberg’s advice to women on the video I linked to earlier this week. Her first point? Sit at the table. What did she mean? That if we sideline ourselves, letting other people sit at the table while we hang off at the edges being self-effacing and shy, we aren’t giving ourselves the same chance at success. We aren’t giving ourselves the same respect that we give others. And if we don’t give ourselves that respect, then why will anyone else? Sit at the table. I dare you. 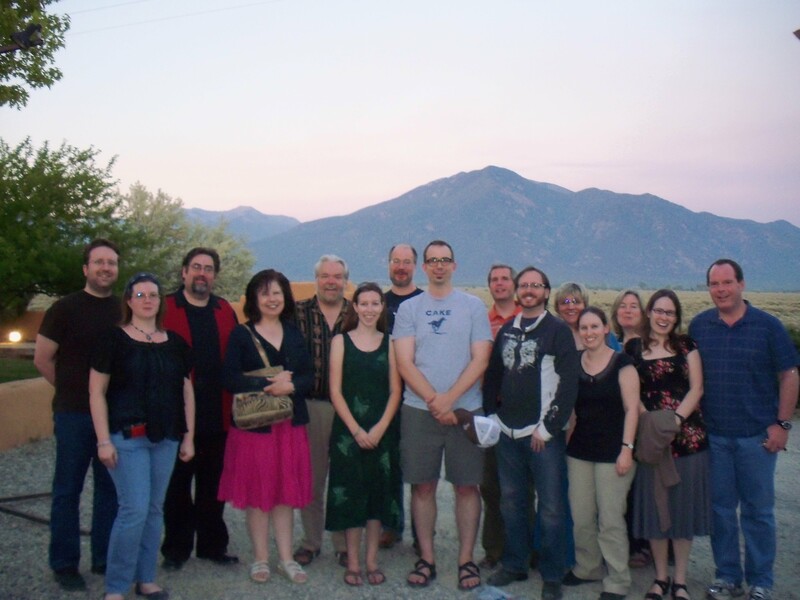 I’ve had many people ask me about Taos Toolbox, the speculative fiction writer’s workshop I attended this past summer of 2010. Here’s the scoop on what my experience was like. Please note, however, that every year will inevitably be different, both in terms of participants, lectures, and details. Taos Toolbox is a two-week residential workshop in the high mountains above Taos. It is run by Walter Jon Williams, who teaches with one other writer (for my year, this was Nancy Kress, who will also be teaching in 2011). During this time, each attendee has the chance to have two pieces critiqued. 1. The shorter time (2 weeks) is easier to fit into life without massive restructuring. 2. Participants can work on either short stories OR novels. Both lengths are addressed in lecture. In my year, I’d say about two-thirds of the attendees presented the first section of a novel plus a synopsis for at least one of their two pieces. However, I opted to turn in two different short stories and also received valuable feedback. So there’s flexibility here. 3. Walter Jon Williams and Nancy Kress are both experienced writers AND teachers. Not everyone who can write can teach, but these two certainly can. I learned a great deal about many aspects of craft and business during my two weeks. 4. Because the two teachers are teaching together and present for each other’s lectures, that means you get two different views on many subjects. Walter and Nancy are perfect for this because they don’t have the same writing process at all. 5. The location is gorgeous and secluded. You really do feel like you’ve gotten away from it all. But there was (in my year, at least) still internet and cell service, so you’re not completely cut off. 1. Yes, it’s a wee bit expensive. But do remember that your fee covers the instruction and critiques from two top pros, most of your meals (except for a few dinners), and your lodging. Personally, I felt like it was worth every penny. 2. The altitude can be a killer, so be warned. In retrospect, I wish I had come a day earlier and slept in Albuquerque for a night to help my body adjust. 3. It’s intense and involves a lot of critiquing. A lot. Happily I learned a lot from all the critiques, whether on my own or other people’s work. However, if you are not comfortable receiving criticism, this might not be the workshop for you. Every weekday, we’d gather at 10am and usually meet until around 3 or 3:30pm, with a lunch break somewhere in the middle. During this time, we’d listen to two lectures, one from each teacher, and go through that day’s critiques, Milford style. Each student had a two-minute time limit on critique-giving, although Walter and Nancy could speak for as long as necessary. We were also assigned various writing exercises. Afterwards we’d have free time to write or critique. Many people took advantage of the free time to go down to Taos for sundries or take hikes in the surrounding mountains. There was also much hanging out, playing music (Rich brought his guitar), soaking in the hot tub, and movie watching. (Walter does a plot breakdown of The Maltese Falcon that shouldn’t be missed.) We were provided with three meals a day during the week, and everyone had their own room. I will add that I was unsure if I was qualified enough to attend the workshop, being unpublished and never having attended other workshops in the past. Obviously it worked out well for me, and I’d encourage you to apply if you’re interested and let Walter and Nancy decide if you’re at a level that could benefit from the instruction. 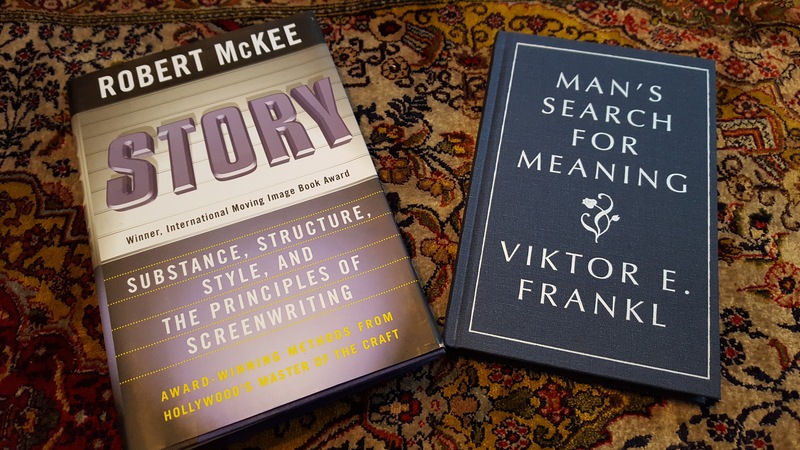 I would say that overall, the greatest focus was on plot and structure (and related topics). Do I think my writing improved due to my Taos experience? Yes, indeed. One of my critique group members back at home even commented on the difference. My understanding of the various elements of writing fiction has been deepened in a variety of big and subtle ways. For example, when I arrived at Taos, I was relying on intuition and my experiences as a reader to work with plot. It feels like I was fumbling around in the dark compared with how I think about plot now. My awareness of some of my most pressing issues has been heightened, and I now have tools to deal with these weaknesses and to gradually improve my skills. I’ve also become more comfortable experimenting with my writing, which I think will ultimately speed up my learning process. Combine all of these writing lessons with the fabulous friends I made, and I think of my time at Taos as a once-in-a-lifetime experience. If you apply to Taos Toolbox before the end of the year, Walter is offering a discount on the cost of the workshop. So if you’re interested, consider applying early. Walter and Nancy are accepting applications for 2011 starting on December 1. More questions about Taos Toolbox? Please feel free to email me or ask away in the comments.